Music was part of my life since I can remember. My mother sang in a church trio when she was young and then became a soloist later in life. She could belt out a song. As I grew to be more accomplished on the keyboard, I was her primary accompanist. My dad did not read music but played piano by ear (the reason my mother was determined I have lessons). He could touch almost any instrument and make music with it, be it a recorder, harmonica, banjo or guitar. He played something he called a sweet potato, brought back with him from the war. I learned it is called an ocarina. He even learned to play the saw, using a violin bow. A carpenter by trade, he had plenty of “instruments” to choose from, and make music he did. 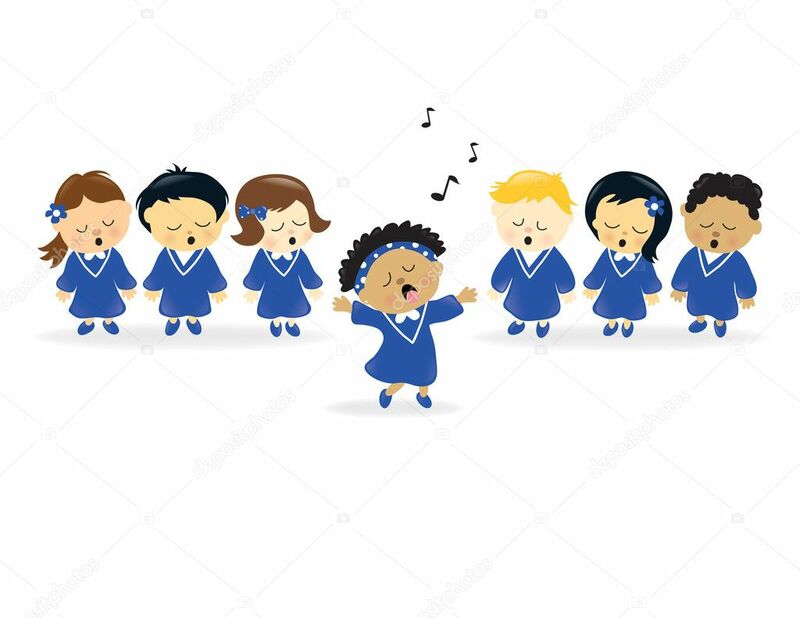 A special memory is singing in the church choir as a child. It wasn’t a formal or trained choir, but a group of people who went to the platform at the beginning of service to sing with the congregation. We were all ages, and my friends and I sang with enthusiasm. We were there to praise the Lord with music. I still love the old songs. I can hear one of them, and I am back there again, a little girl with a melody in my heart. Naturally I was drawn to the book Sing!, How Worship Transforms Your Life, Family, and Church, written by Keith and Kristyn Getty. The Getty’s songs are already favorites; titles like In Christ Alone 1 , Jesus, Draw Me Ever Nearer 2, and The Power of the Cross 3 are well known and beloved. Their gift with lyric and melody has given the church hymns once again. The book examines and encourages singing together whether as a family or as a church congregation. Sing! encourages singing in our everyday lives, throughout the day, with the family at home or on road trips, as a church body. We witness to the world through our singing, and when we sing together, the message is powerful. Created to . . . Sing! Commanded to . . . Sing! Compelled to . . . Sing! Sing! can be used as a small group study; with worship leaders, choirs and musicians; with the entire church congregation; or individually. It is essential that we understand how vital and necessary singing is to our lives. We learn through music. Music affects us emotionally. Songs impact the way we live and the society in general. It’s not about style of music that we choose in our churches, but it is about quality songs and a message that reflects who God truly is. The truth written in the lyrics, and sung so the world can hear, must declare that Jesus is Lord to the glory of God. NOTE: I received a copy of Sing! How Worship Transforms Your Life, Family, and Church, provided by B&H Publishing, for an honest review. The book was free. The words are my very own. So much rain in May caused the grass to grow as high as an elephant’s eye, almost. Flooding in parts of our country caused grief as we watched our own Salt River rise and ebb. Our yard, with its peaks and valleys, was water-logged, and days went by when it was simply too wet to mow. It got so bad that a lawn care company rep came by to give me his card. The rain also brought flowers, and oh how I love the flowers. I like to cut them and put them in the old mason jar filled with water. Whatever is blooming becomes a serendipitous bouquet. Sometimes a tiny bug or spider has crawled out from the buds, so I have relegated the mason jar to the table on the deck. In the morning when I sit there in the quiet of a new day, I enjoy the flowers in the outdoors. The creepy crawly things are at home out there. There’s been lots of outdoor work, planting, pulling weeds and digging in the soil. The dirt under my fingernails continues to be an issue. The yard looks reasonably well kept this spring, though not perfect. My yard will never be perfect or perfectly groomed like yards I admire, all prim and proper. I’ve come to terms with it, because this is the way I garden. It’s slightly wild and slightly pruned, and I’m OK with that. It is ever changing, evolving, becoming something different and new. The daily walks for Maisie and me down our lane rewarded me with the heavy fragrance of honeysuckle blooming at one corner of the yard. It’s uncultivated growth sprawling in the little woods brings back childhood memories of pulling the buds and sipping nectar. I had two recitals this month, one at the Academy of Arts and one for my home students. I am always aglow at these events, so proud of my students’ hard work that produces music to my ears. Teaching piano came to me late in my career as the result of a job loss. At the time, I couldn’t have dreamed what grace would come from something so shocking and disturbing. It is the way of God, to bring life from what seems like death. Mother’s Day came in the middle of the two recital. My own mother has been dead for over 30 years, and our one and only son is in another state celebrating his wife, as he should. What’s a daughter/mother like me to do but be good to myself? I called a friend who shares a similar situation and suggested we spend a few hours together before Mother’s Day, somewhat grieving our loss but more celebrating friendship, our sons, and the love of all things growing. We spent a lovely morning and afternoon together, and our shared joy helped us ease into the weekend when pictures of gathered families would multiply on Facebook. On Mother’s Day, I did what I wanted and treated myself with much kindness and grace. It was one of the best day I’ve had in a long time. I’ve enjoyed watching the Canadian goslings growing daily, grey downy feathers giving in to the white and black distinctive color of their parents. They look like miniature versions of what they will eventually become. I spy the single mallard mamma and her little bitties occasionally. There are six of them left and still so small in comparison to the geese. Watching these babies grow has been life-giving this spring. I resumed my task of going through the saved mementos from the box in the garage. I came to the cards, letters, notes from my years working at the YMCA. It was my first management positions, and some days I didn’t have a clue what I was doing. Nostalgia took me on a journey of memories and faces, experiences and people who helped me grow. It’s been over 15 years since I worked at the Y. They were formative years for me when I learned so much from the staff whose names appear on those mementos. It’s the season of the Yard Sale. Usually I am quite the sucker for a neon pink hand-lettered sign, but I’ve passed by more often this spring. As the wise Solomon said, there is a season for everything, a time to gather and a time to scatter, a time to keep and a time to throw away. I’ve had my season of gathering and keeping. It’s time to let go. Rather suddenly at month’s end, we excitedly arranged for a visit from my daughter-in-love, eldest granddaughter and her friend. I prepared the house, filled the fridge and pantry, and cleared my calendar. The few days would be open for whatever plans they had. I would be bed and breakfast for them and take whatever moments I could get with each one. They came for a wedding, my granddaughter being a first-time bridesmaid of a childhood friend. My granddaughter is grown up in many ways, and yet I see the little girl who used to come spend the night, who sat at my piano and learned music with me, who sat on the stool at the kitchen counter and told me what was on her mind. She and her friend had their own agenda, attending wedding festivities, visiting friends, and staying out later than my bedtime. And we who waited for the sound of them slept lightly as we prayed for their safe return. Her mother and I shared the mutual feeling of wanting to know all the chicks are home, safe in the nest, before we can settle down for deep sleep. One has to experience it to understand. Parenting cannot be easily explained or described. The bond between mother and child is something unique and beautiful and lasting. I enjoyed hours of conversation with my daughter-in-love as we sat at the kitchen table and drank sweet tea. For me it was like old times when she lived in the house next door. We laughed and remembered and talked about so many things. It was a balm for my soul. I made strawberry shortcake for breakfast on the day before they left for home. It was well received and may become a tradition whenever my dear ones come for a visit. I’ve missed my family in the years they have been living away. The few days with my girls were a jewel in the month of May, memories to record in my journal and on my heart. Too quickly the days passed and we said tearful good-byes, unsure when we would be together again, face to face. And the house that sang with voices familiar is quiet once more, remnants of breakfast and cold coffee all that is left behind. May has been delicious in lots of ways and difficult in others. And this life I live is very much like the garden surrounding me. Days are spent pulling up the weeds and clearing away the mess of a long winter. Other days I dig in the dirt and plant with hope for something bright and beautiful. Flowers bloom and fade, while others bud with promise. One morning is cloudy, rain falling; the threat of storms makes me run for cover. And then the sun emerges and water droplets glisten like diamonds. A rainbow appears in the sky and I stand in awe. May brought different times for me. I live with fervor some days. I taste the bitter and the sweet. I sing songs and cry tears. It is all part of this wild, wonderful life I’ve been given. It is mine to live. And I shall live it.